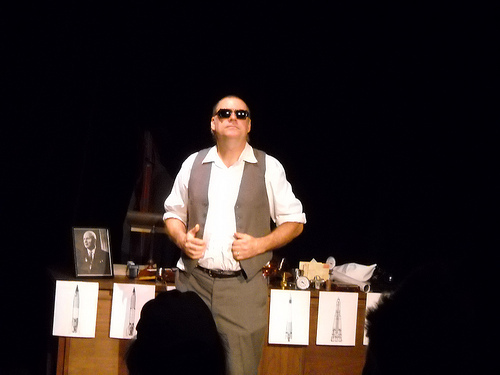 Here’s a photo gallery from “Red Moon Rising in the East” at 40th Street Stage in Norfolk, Va.
Bill Armstrong portrayed Sergei Korolev in my one-man show about the Soviet space program. This entry was posted on January 18, 2012, 12:53 am and is filed under Photos, Uncategorized. You can follow any responses to this entry through RSS 2.0. You can leave a response, or trackback from your own site.